"Supplier development in conjunction with a robust diversity initiative makes good business sense," says Todd Minden, VP of Sales and Marketing for CVM Solutions. "A company committed to both efforts builds for the future and, perhaps most importantly, becomes a better, stronger company that consumers, workers, and business leaders will seek out and admire. Our new guide helps organizations take the first steps toward launching or strengthening a diverse supplier development strategy." For additional information about this new whitepaper or CVM's services, visit the company's website at www.cvmsolutions.com. 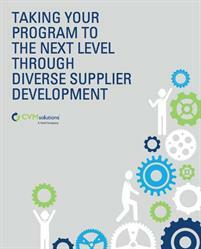 CVM Solutions, a Kroll Company, is the premier provider of global supplier data and supplier diversity solutions. 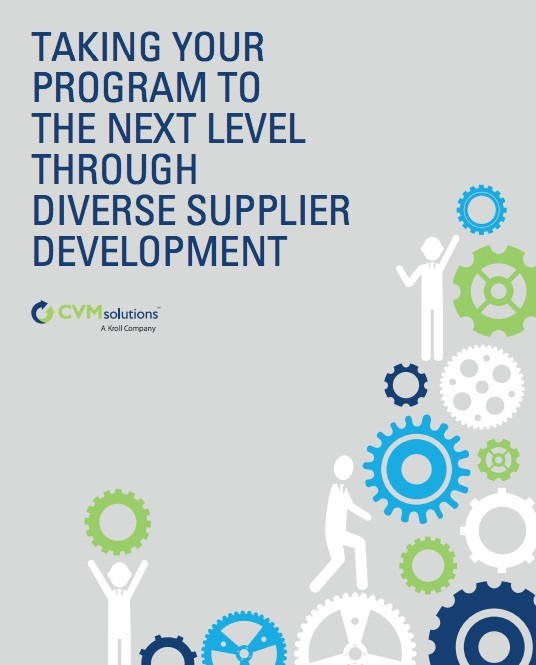 CVM delivers data, services, and technology needed to manage supplier data, and advances supplier diversity initiatives to achieve corporate sourcing objectives. As a data aggregator and data originator for Tier 1 and Tier 2, CVM has partnered with more than half of the Fortune 100 and half of the Billion Dollar Roundtable members to leverage and consolidate supplier information, thus enabling our clients to increase their supplier diversity results and take their programs to the next level. For more information, visit www.cvmsolutions.com.